Why Is This Family Smiling? (from the left) Taresa, Deborah, Sogide, and their two youngest children. 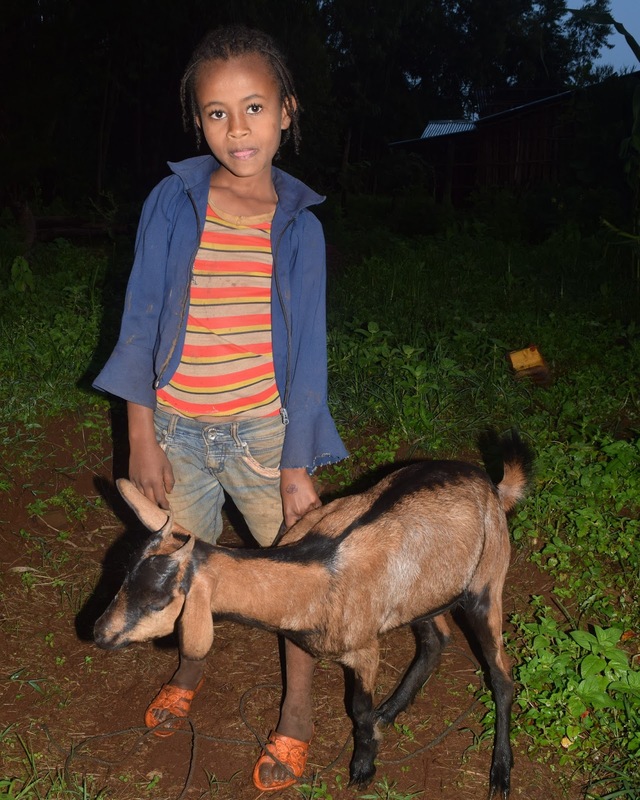 Taresa Ragasa is a farmer in the Fayine Terano kebele of the Mid Highlands who struggled to provide for his three children. His wife, Sogide, spent much of her time collecting heavy bundles of wood for cooking fuel and lighting their home. Not only was this back breaking labour, but the smoke from her cook fires caused Sogide frequent eye problems. As Taresa and Sogide's children grew, their worries intensified. How were they going to afford to pay medical bills, feed their children, and send them to school? When Food for the Hungry (FH) Ethiopia began their work in Sasiga, Taresa’s oldest daughter, Deborah, joined the Child Sponsorship program. This meant her educational expenses were entirely taken care of - what a relief! Deborah’s parents immediately gained access to a number of different trainings offered by FH. Sogide took a workshop on how to build fuel efficient stoves out of local materials. 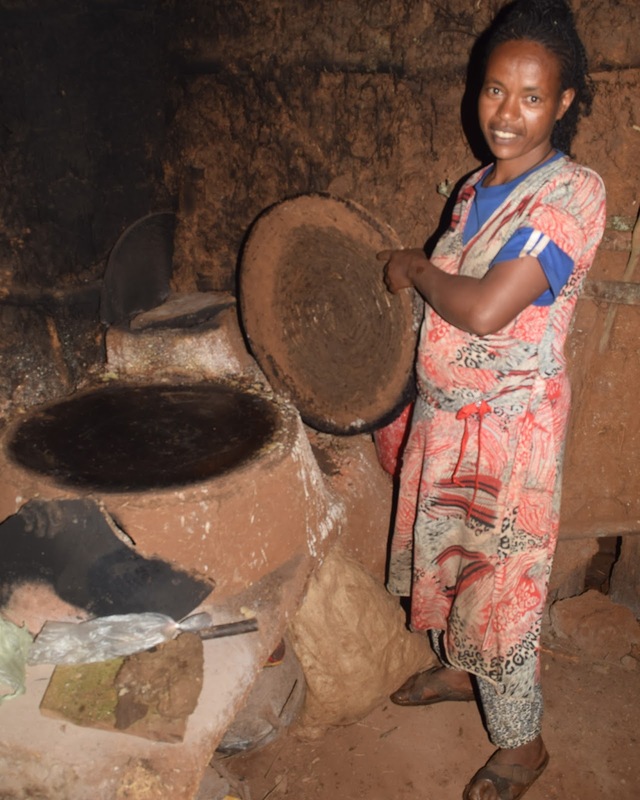 “After I prepared my own fuel efficient stove I became free from the health problems I had because of the smoke. I also save time collecting firewood because the new stove uses less fuel.” Since building her own mud stove, Sogide uses the time saved to give more attention to her children’s needs and to tend a backyard vegetable garden. 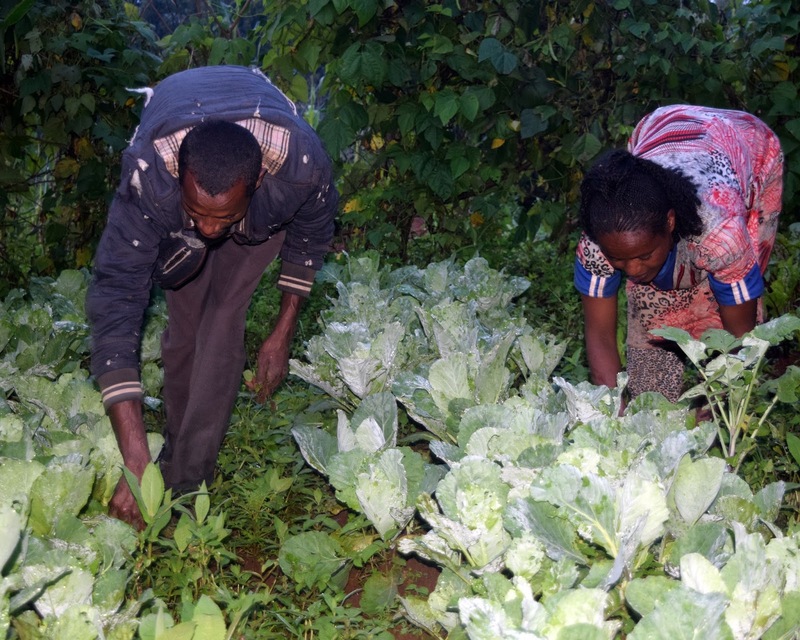 FH provided Sogide with improved varieties of vegetable seeds. She now supplements her family’s traditional diet with nutritious cabbage, beetroot, and carrots. To complement the vegetable garden, Taresa planted avocado and banana seedlings, also provided by FH. As their nutrition improved, the kids became healthier and happier. Taresa sells their surplus vegetables and fruit in the local market for 865 Birr ($48 CAD). He plans to purchase either a goat or a sheep from his vegetable sales to secure additional future income for his family. His daughter Deborah was given a goat by FH; they anticipate it will be just the start of a small herd that can support them in a couple of years’ time. 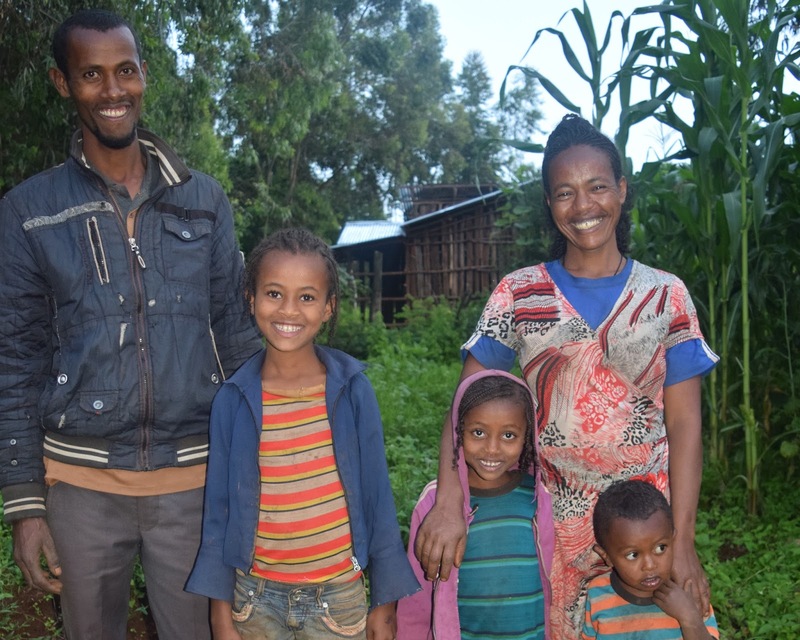 The many trainings that Taresa and Sogide took with FH Ethiopia resulted in a true mindset transformation in the family. Ten years after dropping out of school because of poverty Taresa, just this year, returned to school with his children. “I’m so grateful for those who provided the resources that have created this vision in my life,” he says. Someone who was once uncertain whether he could provide an education for his children now believes he can pursue and realize his childhood dream of becoming an engineer. Taresa and Sogide’s family is no longer struggling under the yoke of poverty. Rather, they are a vibrant, happy family with a strong sense of purpose and success. GET POSTS LIKE THIS IN YOUR INBOX! Recipe: Breakfast of Champions - "Desayuno Chapin"
Food for the Hungry: Why Is This Family Smiling?